Welcome to our INTRO TO OIL PAINTING CLASS where we will learn starting techniques such as colour and value to create depth in painitng. This series is designed to help student’s develop a language both in painting and in conversation about painting through practice and through demonstration. There will be a strong emphasis on underpainting to start building skills and comfort with oils. We will explore various painting compositions and get comfy with both still life subject matter and 2D image references. Students will learn how to see light, shape, value, texture through the eyes of a painter. This class is intended for students who are passionate about art, curious about painting and dedicated to investing in their art passion. Students supply their own painting materials. 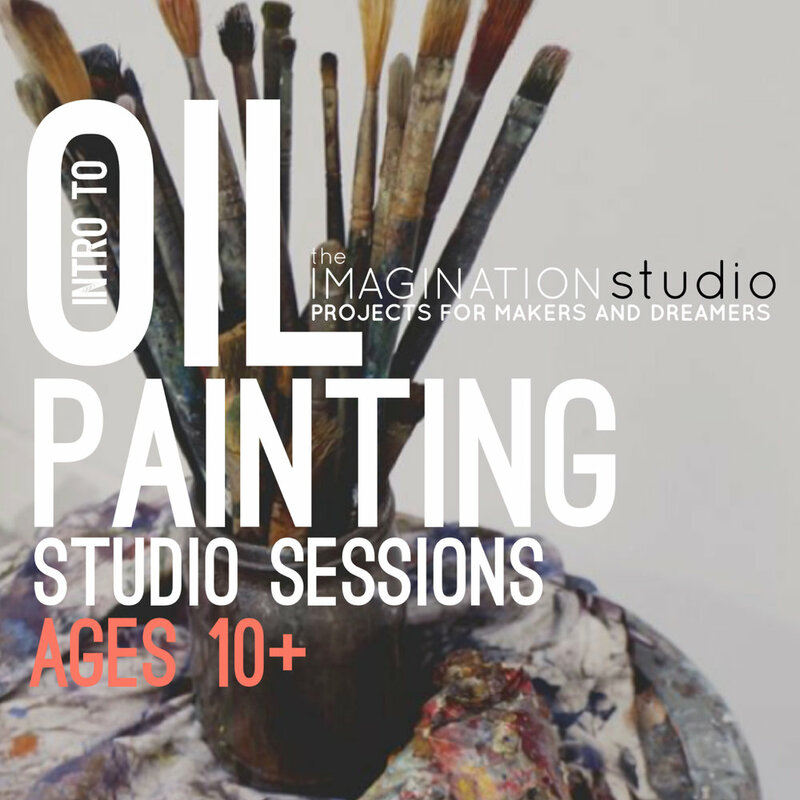 Painting substrates and easels are supplied by The Imagination Studio. See our Material List.